The standard price of a Royalty Free Image ranges from AUD$50 to AUD$200 a photograph - depending on the size you choose. Royalty Free Images represent more than 90% of our library. The charge for a prime, Rights Managed Image is based on usage, which can be determined by using the simple price calculator dropdown alongside the photograph. Discount packages are offered to registered media and publishers, as well as industry members of the South Pacific countries who’s tourism authority is participating in our Tourism Industry Assistance Scheme (TIAS) extended through this library. For details, refer to the Tourism Industry Discounts sub-heading under PROMOTIONS at the top of this page. Photographs available on this library can be purchased at three levels – as Royalty Free Photographs, as Rights Managed Photographs or as Exclusive Purchase Photographs. A Royalty Free photograph is an image that carries no copyright restrictions beyond the initial purchase. Once purchased, it may be used , though only by the buyer, without limitation (excluding commercial products such as souvenir items). The cost of a Royalty Free photograph ranges from AUD$50 to AUD$200, depending on size. A Rights Managed Image has copyright restrictions and may only be used for the purpose, and under the terms of agreement, specified in a written agreement issued by Kirklandphotos.com. The average cost of a Rights Managed Image starts from AUD$250, however, this price may increase depending on the use of the image. An Exclusive Purchase photograph is an image which is purchased exclusively for the use of a particular buyer. It cannot be sold or used elsewhere. 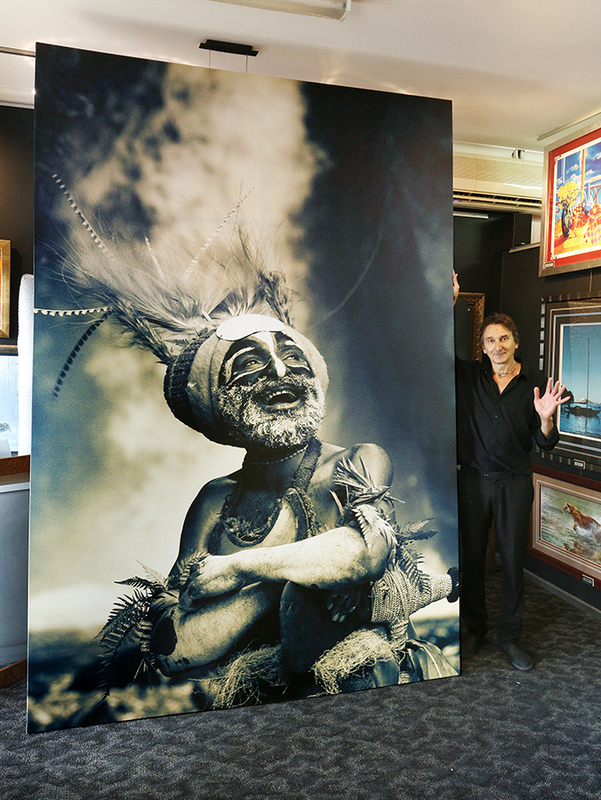 Access to Exclusive Purchase photographs is by private negotiation and formal agreement with David Kirkland directly. This range of Limited Edition Prints is form David’s private collection. Only 20 copies of each of these photographs will ever be sold. To purchase one of these photographs please contact David directly. All of the photographs in this library have been quality controlled to the highest international standards and have been uploaded as 300dpi, RGB, J-peg, compression 12 files. More than 95% of the photographs are suitable for reproduction to A3 in size, however, a small selection are A5 (like most photographers, we have struggled to jettison some of our favourite pictures which were captured in the old days of film). Please also bare in mind that some of the photographs may appear slightly soft in the preview as they have been optimised by the library software for fast viewing. If you are seeking a photograph for large reproduction, we suggest you contact us directly to determine the image’s suitability for your use as our photographs are shot on both 35mm and large format cameras and we will have the original file, and the larger Tiff file, in our archives. We guarantee the quality of the image you download. If there is a legitimate reason why the photograph you downloaded did not meet your expectations, please contact us directly at manager@kirklandphotos.com and we will either replace it or happily refund your money. All the photographs seen in this Photo Library can be purchased as Standard Prints or Limited Edition Prints and sent to your mailing address. Our order, production and despatch process is fully automated unless you are ordering a Limited Edition Print, in which case, David will personally sign the print and a certificate of authenticity and a reference code will be issued. Standard Prints can be ordered of most of the photographs in our gallery. Merely click on the photograph of your choice, fill in the details and pay the amount On-Line and we will arrange for the print to be sent to you. Only 25 copies of each of our Limited Edition Photographic Prints will ever be sold. Each one of our Limited Edition Photographic Prints is produced at a mimimum size of 1.5 metres in length - either on archival quality stock or canvas. They can also be customised to a larger specification, depending on the image chosen. Each of these prints passes through a rigorous quality control process and is catalogued, certified and signed by David personally as one of his Limited Edition Prints. The price of a Limited Edition Print rises as each print is purchased. The purchase price for one of the first five prints of a photograph in this gallery is AUD$1,500. The next 15 prints are priced at AUD$2,000 each, and the last five prints will be sold for a negotiated price above AUD$3,000 each. The number of Limited Edition Photographic Prints sold of each photograph will appear in the information box of each photograph in our gallery. For further information on any of the Limited Edition Prints, contact David directly at david@kirklandphotos.com. Below: An example of one of our larger canvas mounted Limited Edition Photographic Prints, leaving the studio. David Kirkland personally guarantees every Gallery Print and Limited Edition Photographic Print purchased through this Gallery. If you are not completey satisfied with the print you receive, merely return it to us and your money will be completely refunded.